For Laser or Inkjet Printers. Using brown kraft in your labeling and packaging design adds a special flare! Organic, natural, rustic and earthy. 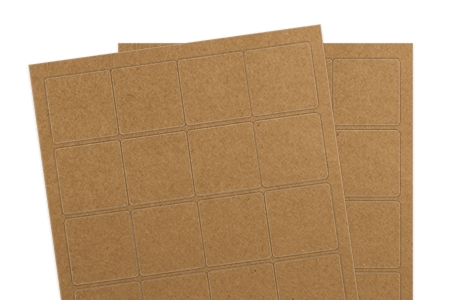 This unbleached, kraft label material is perfect for craft projects and so much more! The textured face and permanent adhesive is makes this a popular choice.